There is a public parking lot in front and rear of restaurant. 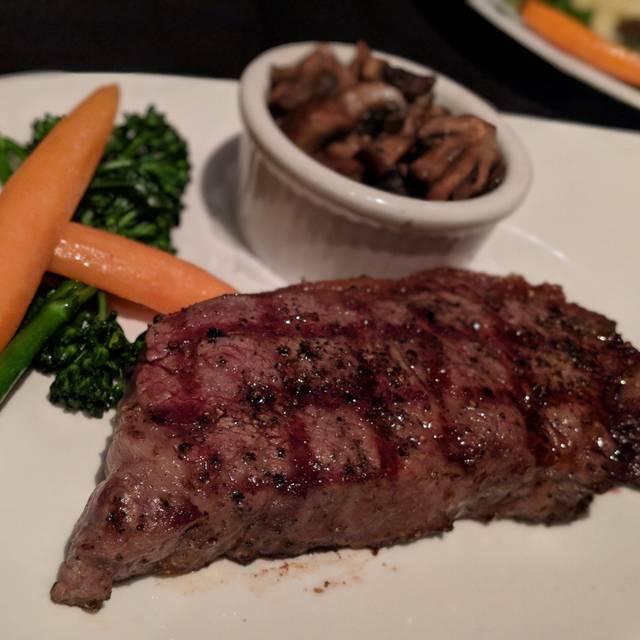 At Forbes Mill Steakhouse we offer the finest cuisine, Wagyu Steak and Prime Certified Angus Beef, to Fresh Seafood from Hawaii, Australian Lobster, Chicken and much more. Our cuisine is perfectly accompanied by an Award Winning Wine List including local, regional and global vintages all thoughtfully selected by our resident Sommelier. Our professional staff is dedicated to crafting a memorable dining experience for our guests, and they share a commitment to quality and a passion to serve you. Sit back, Relax and Enjoy the Ultimate Steakhouse Experience. This restaurant requires a credit card in order to make this reservation. This restaurant reserves the right to charge a cancellation fee according to its cancellation policy. Please note that online cancellations will only be accepted prior to 5 PM two days before the reservation. Thank you! 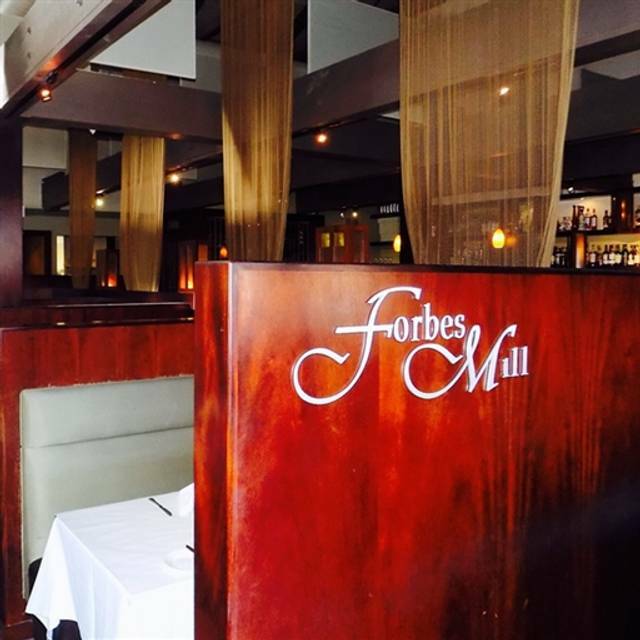 Forbes Mill is our "go to" restaurant for family special events, ie, birthdays, graduations, anniversaries, etc. Service is always excellent. The entrees are very good. Seafood is always fresh and steaks are cooked the way they are ordered. The Sides are hit an miss. Some times they're undercooked or cold and other times they're just right. 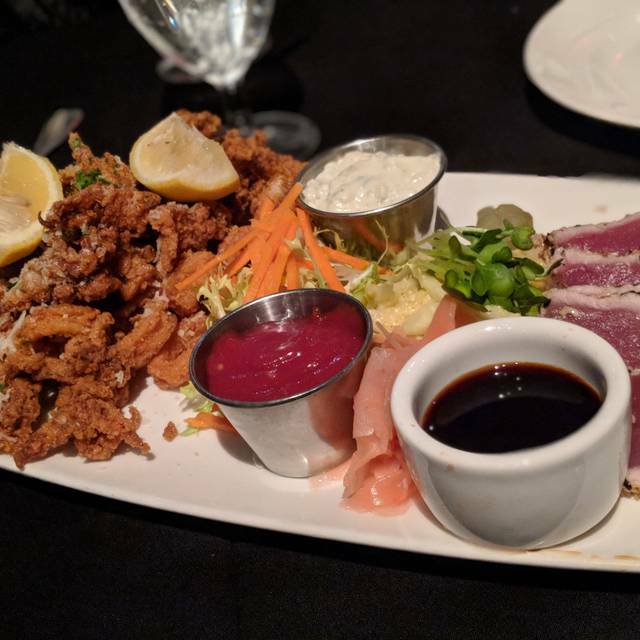 Instead of stars, I would rate Forbes Mill as better than Haps and McNamaras and not quite as good as Ruth's Chris for food and better than all three for ambiance. 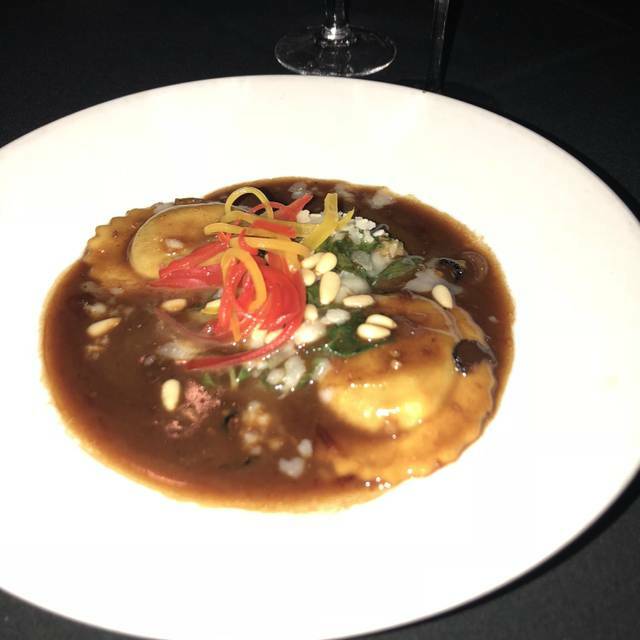 Great food, awesome wines! A little on the pricey side but always great quality. Frankly the food was just not that good. I expected something a lot better. Wonderful lunch today. Great selection of wines by the glass! Everyone enjoyed the food, but I must note that the mashed potatoes that accompanied my filet Mignon were outstanding! Bravo! Service was good. It was a special occasion for us, and they took care of us well. As requested a big, quiet booth so we could have a conversation - and a server who understood the difference between checking in on someone and intruding. Sometimes without a word, yet we never felt rushed nor neglected and the courses arrived at perfect times. We were absolutely satisfied with every dish, from the cocktails we ordered on arrival to the ahi appetizer, the entrees (quality steaks, perfectly cooked) to the dessert which they of brought gratis for our occasion. We would have ordered more, but we felt happy and satisfied - you know, the way you're supposed to when you're leaving a really good restaurant. Special mention of the excellent wine list - truly something for everyone. By that I mean every palate and price point from $50 to $3000 We easily found a great wine that went perfectly with our food, at a good value I might add. We will be back! Our lunch was delicious and the service was excellent. Our waiter was very personable and attentive. Extremely noisy, couldnt have conversation, also dont like that you pay extra for side dishes. Our waiter was very good. As far as the food and service... it was outstanding. Unfortunately, we were seated in an area surrounded by very noisy tables. Next time we will ask for a booth. The food is always great. The service has always been good. This time I had Emily as my waitress and she was awesome! We have been to Forbes Mill a few times before. The service, food, and ambience is excellent. 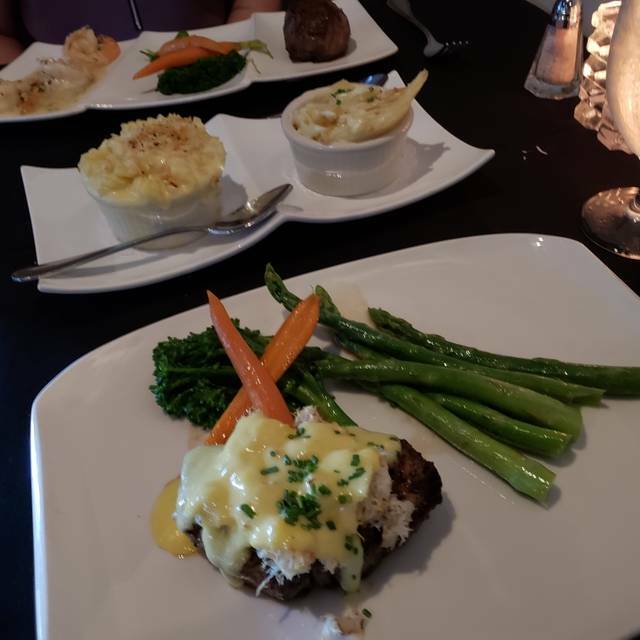 We have always enjoyed our meal (filets) and they have a good wine selection. Can’t wait to go back! This place is great! As always! Still don’t have any disappointment. We’re not regulars but we’ve always enjoyed ourselves and the food has always been excellent. Everything was good except for the additional surcharge to cover employee pay. I do not feel this was appropriate based on the cost of the food and drinks. It was great except it got really dark and loud in there! Service was a little slow, but food was excellent! Ordered the surf & turf, steak was a perfect medium and so tasty and the lobster so wonderful. My only regret is that I was too full for dessert. I love coming to Forbes Mill for a late lunch. It's cool and dim with jazz playing in the background. The drinks are great and the food delicious. Classic in the best possible way. We went for my husband's birthday and the restaurant made the evening special. We had the tasting menu with the wine pairing and every course was very tasty. The staff gave my husband a special dessert that was a nice touch. We had a very enjoyable evening. Had the filet Oscar style delicious great wine selection also hubby had the halibut blackened yummy! I was a little worried when I got to the restaurant and was told table was not ready, we went to the bar and got excellent service and drinks, Hostess followed up with us and took us to our table where we enjoyed the Tasting Menu, including the wine pairing which was perfectly paired, every single dish was tasteful and waitresses were alert and provided us superb service. We love Forbes Mill for all our special occasions. The food is fabulous, the menu tastings exquisite and the service is outstanding. Except for the bar. This is a Five Star Restaurant and the restaurant staff are great. But my wife and I arrived 20 minutes before opening and were graciously allow to sit at the bar. When the bartender arrived, he served his flip-flop wearing buddies- who arrived TEN minutes after us, and another demanding woman who also arrived after us, and never greeted us even once. The restaurant staff were extremely friendly, professional and made our visit five stars. Unfortunately I must caution about the blatant disregard for our tip money at the bar. While the steak is on the pricey side they are well worth it. Our first time there and the food, atmosphere and out waiter Max was fantastic. I had the New York Steak and my wife had the halibut, both were over the top great. Phenomenal dining experience. Delicious food and friendly service. The ribeye was good however, it’s definitely over priced at around $82.50 (including tax and tip) per person. It’s too bad that the restaurant decided to stop serving Prime Rib. Best hamburger in the County.................................................................................. ! Met with friends for another celebratory dinner at Forbes Mill. All four of us ordered the Angus Prime: 3 rib-eyes, 1 strip. Strip and 1 rib-eye were fine, 2 rib-eyes had a bit more gristle than they should have, although flavor was very good. I grew up in the Midwest and Black Angus is my favorite beef. Prawn cocktail and beet salad were excellent; FM makes the best prawn cocktail we've had in any EBay restaurant. Had leftovers, but somehow my strip steak didn't make it into the box. Mgmt was VERY apologetic and sent us a generous gift card to compensate for the disappointment. This is our 4th visit and our friends' 7th visit; first time it's happened so just a one-off error. Won't stop us from coming back! We've tried Flemings and Ruth's Chris', but Forbes is our preferred EBay steakhouse. Great for special occasions; service is well-trained and parking is easy. Delicious food and a wonderful dining experience. The service was impeccable, rivalling any Michelin-starred restaurant. The food was amazing--perfectly cooked, tender steaks, flavorful sides, fresh salads. We were celebrating our anniversary and they provided personalized menus and a lovely anniversary dessert on the house. Delicious meal to celebrate my son's birthday.....service and food was fantastic! Love this place! Absolutely phenomenal. This is now me and my girls go to favorite spot for a great night out. The service, food, lighting, just everything was done superbly. Our server Eduardo was funny, professional and making sure that everything was up to the highest standard. 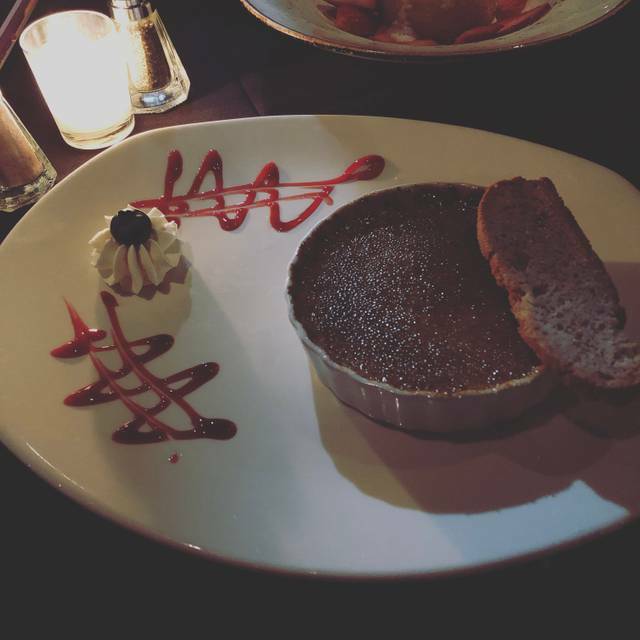 We even ordered the desert just because of how genuine you could tell when he said "the lava cake is so good you have to try it". 5/5 stars, Forbes Mill has set the standard. Had a great time on a date night with my wife. We had the oyster appetizer with the wine pairing. 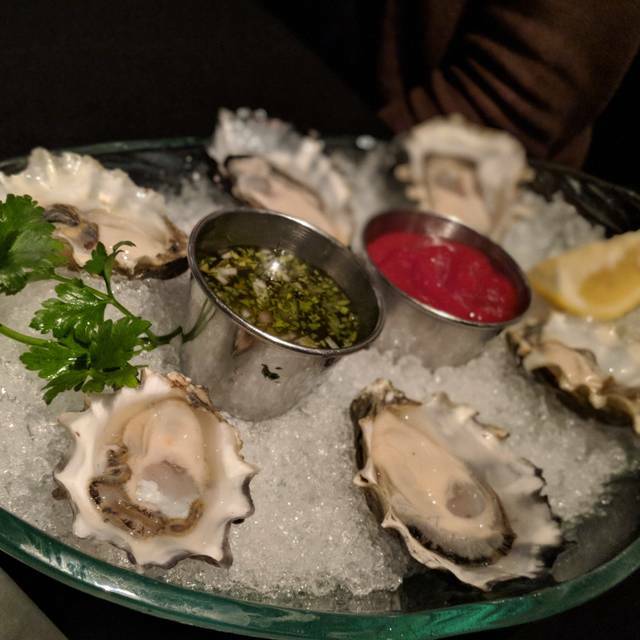 Oysters tasted so fresh and clean, that my wife that couldn’t stand the thought of slimey oysters actually had 4 oysters of her own. They were fresh and tasty. I ordered a wagyu filet and it was like butter melting in my tongue perfectly cooked medium rare. The sides were great also. We had the mushrooms and asparagus. Finished the new guy off with a spectacular butter cake. My wife’s new favorite place, and mine too. Matt our server, and the entire service team meet our every need. Blackened Ribeye and Halibut were fantastic. The management was visibly working the room. We will be back. Thank you!